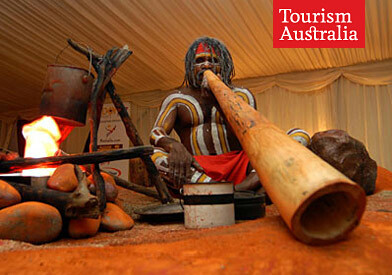 As part of the annual G'Day NZ Australia week, the Spirit of Mateship Gala dinner is the glamour event. 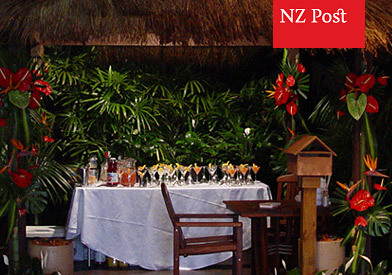 The aim of the evening is to showcase the comradary that exists between New Zealand and Australia, while guests enjoy a stunning evening of Australian inspired cuisine and top shelf performers. However behind the scenes considerable work goes into sourcing the entertainment, developing an innovative Australian menu, matching the menu with top quality beverage selections and coordinating an event that for 450-500 guests must be a truly memorable and spectacular occasion. Past Gala Dinners have featured performances by Rob Lowe, Dragon and the Qantas choir, had menus designed by internationally acclaimed Australian chef Neil Perry, has been hosted by TV3’s John Campbell and Carol Hirschfield as MC's , finishing with extensive venue theming, intelligent light show design and large format multimedia experiences. The brief was to decorate the space, with the possibility of creating a themed cocktail. They also required signage and a device to catch entry forms. To compliment the Tahiti theme of the event, we sourced and installed a life sized buree and covered the space in lush tropical foliage. We recruited and trained authentic resort staff and had them make customized cocktails and perform aromatherapy hand massages for guests. We created an identity for the space, created signage and built a themed letterbox for the entry forms. The result? "Thanks very much for your hard work. We had fantastic feedback on the stand and I was really pleased with it all – planning, productions, staffing and management." 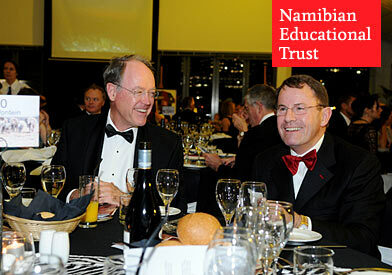 "I wanted to thank you all so much for the wonderful service you provided at the Namibian Educational Trust Gala Dinner on Friday evening. So many of the guests commented on the outstanding food, wine, ambience, and service... also I am grateful to those of you who made a personal contribution through your service to the children of Africa who will be the beneficiaries of the $130,000 that were raised on Friday night." In support of Jenny Shipley's trust, Sero contributed by hosting a charity auction and gala dinner event for 190 guests at Auckland’s Floating Pavilion. Following Jenny Shipley’s tour to Africa on the Intrepid Journey's television show, she was touched by the desperate need of the Himba Children in a small school on the northern border of Namibia. The 132 students were boarding 5 days a week, with no power, little in the way of learning support material and not enough matresses or blankets to go around. The charity auction featured a stunning array of items including a bottle of Whiskey signed by US President Bill Clinton. Over $130,000 was raised on the night, and the proceeds will be spent directly in Africa to upgrade the school's equipment and further assist the educational facilities for improvement.